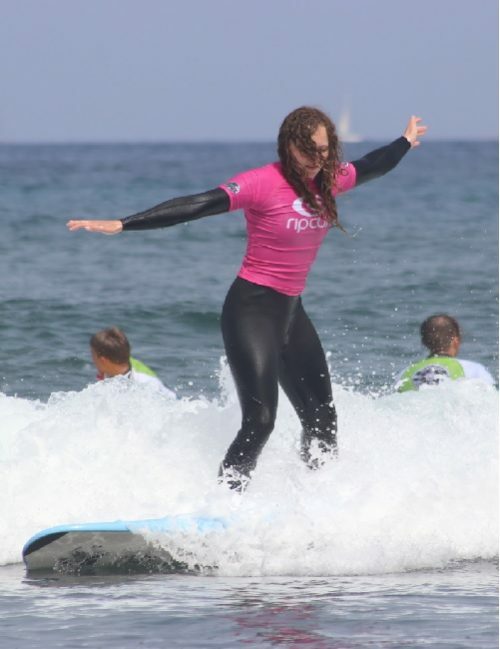 Surf school las américas tenerife “K16 – Rip Curl” gives the surf lessons according to the best tidal interval, avoiding high tides which cause the waves to break too close to the shore, thus making the practice difficult and even risky for the student. 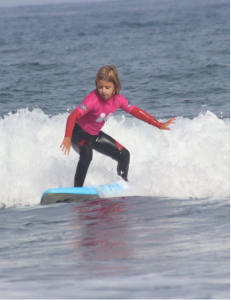 In the case of less than ideal conditions, the school will reschedule its clases till these (conditions) are once again reached, so all students can enjoy their surf lesson in full confidence. Surf academy for kids and surf camp every year at surf school las américas tenerife. 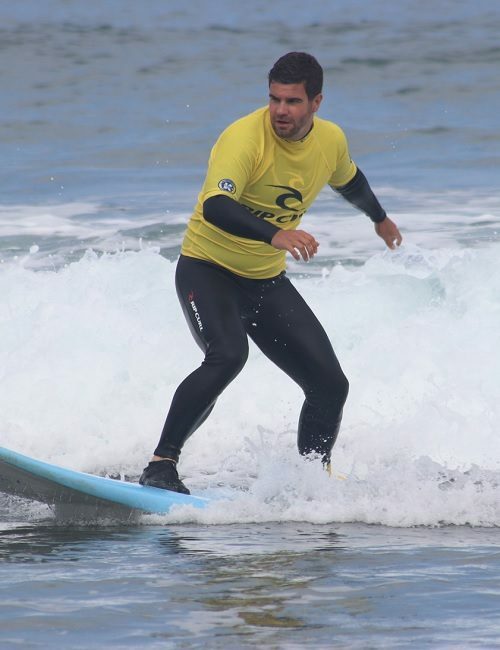 All Surf school las américas tenerife “K16 – Rip Curl” lessons Schedule is published at least one month in advance on our website, along with all the needed information, thus making planning and booking easy and safe. 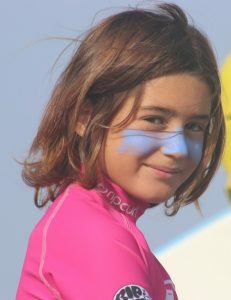 Our schedules and reservation link is k16surf.com/events. 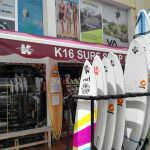 Surf shop, surf rental and surf fashion “K16 – Rip Curl”. 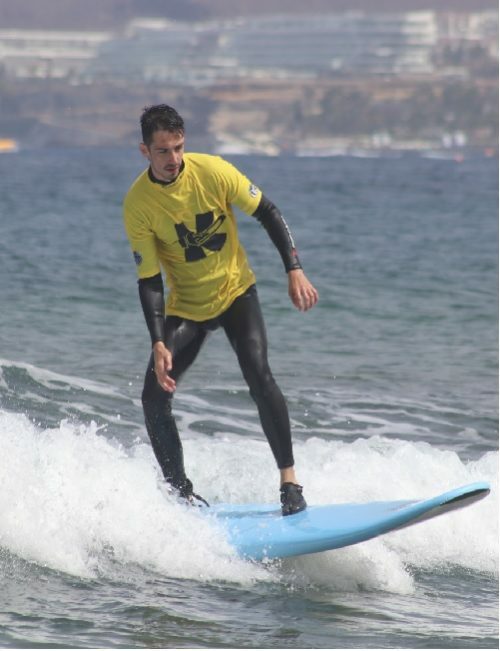 The lessons take 2 hours, of which 15 minutes surf basics theory.We limit our groups to up to 5 students per instructor. 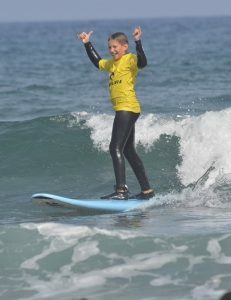 The students will be separated on groups upon each one´s age, previous experience and level. 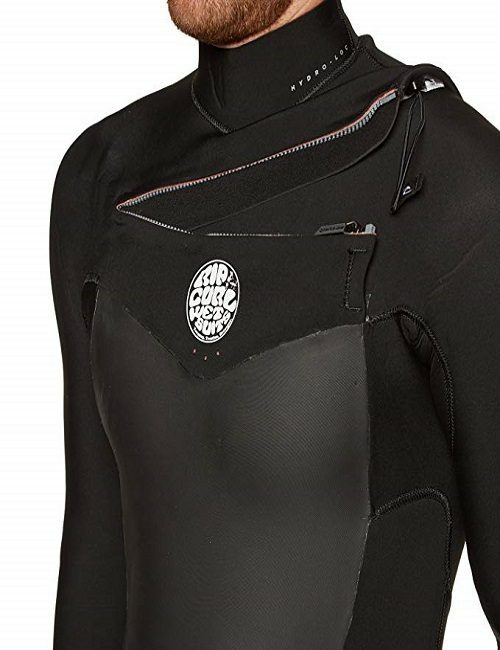 We provide all the necessary materials: wetsuit, booties, surf board according to the individual’s necessity. 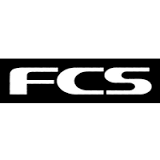 Our school only employees last generation technical materials and this is always renewed and updated. Insurance: Accidents insurance is included during the activity. 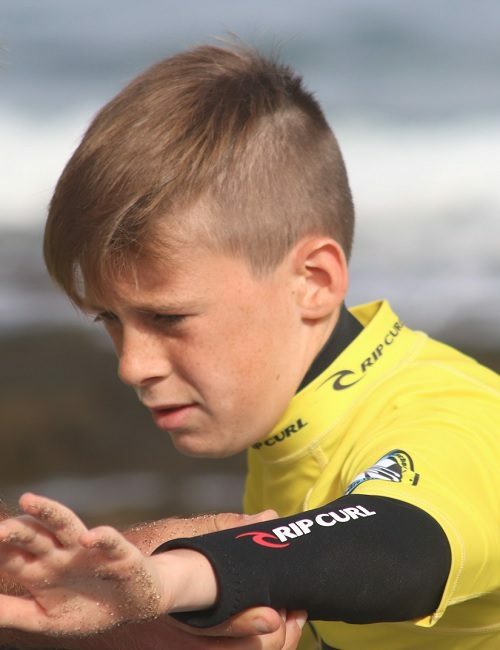 Surf school las américas “K16 – Rip Curl” also has full liability insurance. 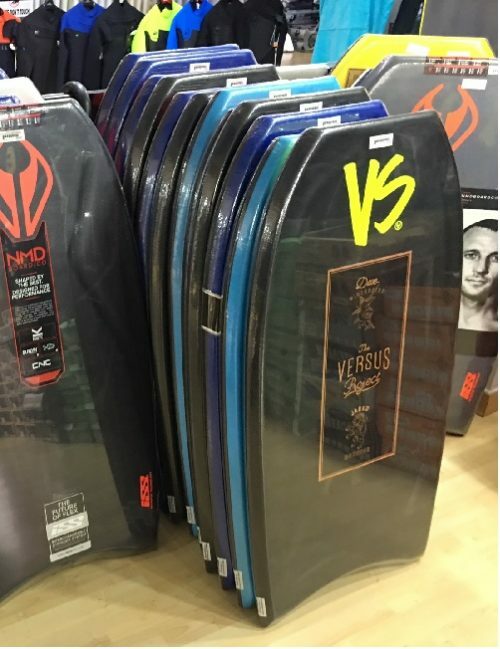 Rentals and shops: In our shops, you can rent your surfboard, wetsuit, skateboards, book your surf lessons or full surf courses, carver skate lessons. 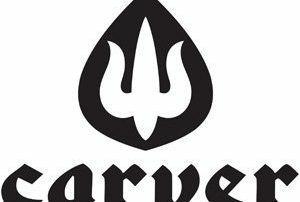 You can also find products and accessories from the top brands of the world of surfing.